I guess the best way to describe it is laziness. 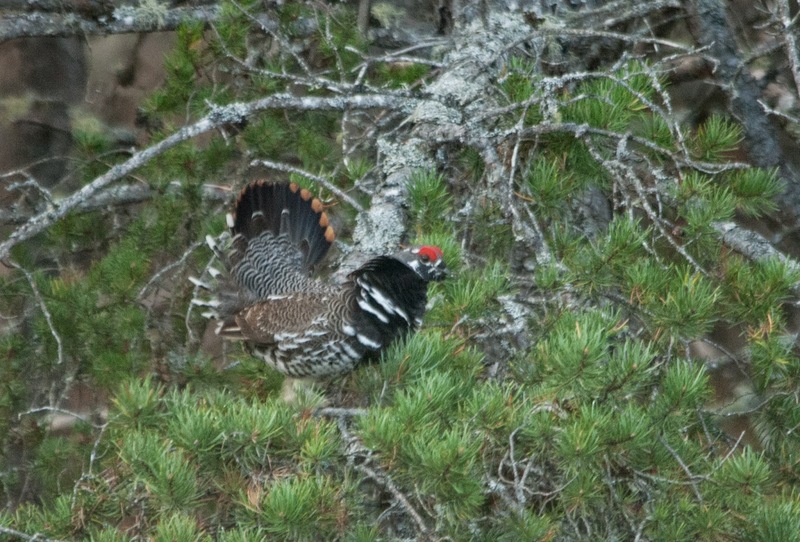 There are a few reliable locations for Spruce Grouse within twenty minutes of Whitefish Point but, it took me about two and a half months to go watch them. 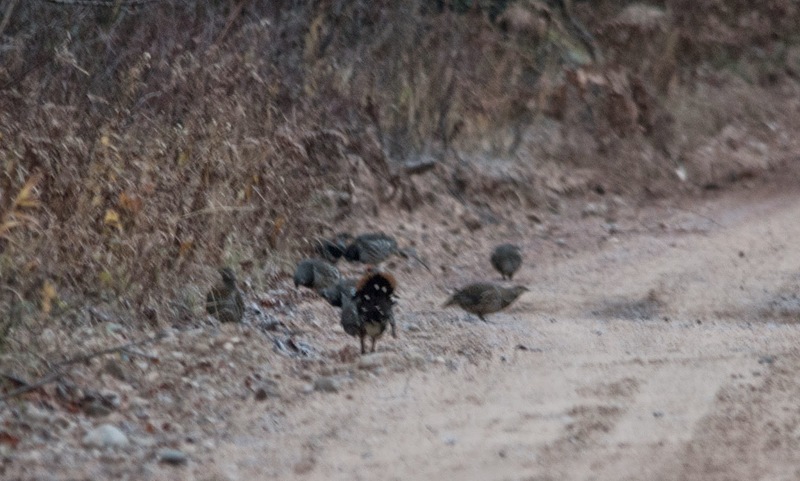 The grouse didn't disappoint; within a few minutes at the first location, I had found a group of 12 along the road. The highlight was watching an aggressively displaying male. I wasn't really looking for Spruce Grouse at my second stop (even though it is a historically good location for them) but, a male popped up on the side of the road and gave some great views. The light was also much better which made for a marginally better photo. of the experience (even if you can't see the birds well).